We also are selling La Mend Hangover Patches for $12. #strugglebrunch. Mimosa’s for Everyone! or just you...we won’t judge. One Bottle of Champagne served with Two Mini Juice Carafes. We know what you want. Two bottles of Champagne served with Two Mini Juice Carafes. We are a bar. 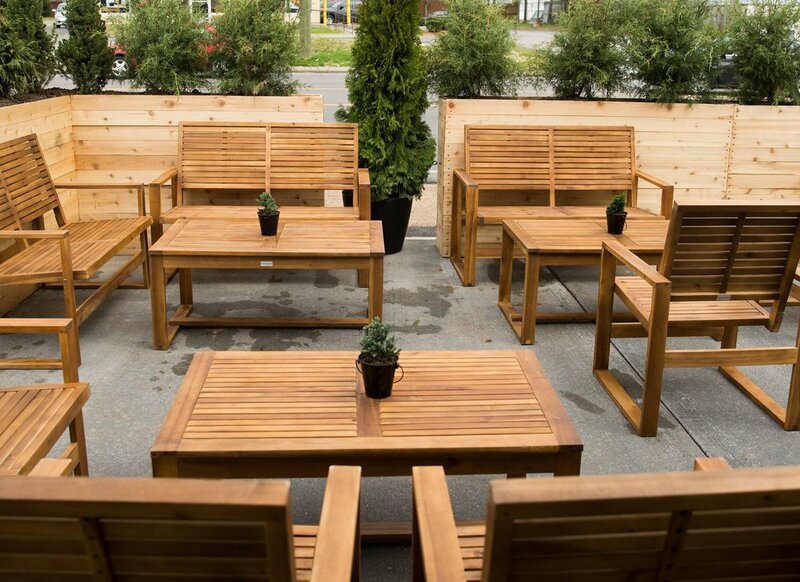 We do serve small plates during the evening and shareable brunch plates on the weekends but we do not have servers. Everything is “order at the bar” and the food comes out as it is ready. We highly encourage you to check out our current menus. Are you a bar or a restaurant? Walden is first come, first serve, so we do not do reservations at this time to parties under 20 people. For parties that are 20+, we have events packages to choose from. Can I reserve the space for an event? Yes! We have packages for everything from reserved areas of the bar during open hours to private events/buyouts. Each event request will be reviewed on a case-by-case basis and we will work with you to figure out the best fit for your needs. Email hello@waldenbar.com for all event inquiries. We have quite a few regulars that are babies who pop in for brunch or for happy hour. We are not technically 21+, though we encourage parents to be aware that we are primarily a bar and that it’s probably not the best atmosphere for small children during certain hours. Other than brunch, we discourage ages 13-20 from coming in. I forgot to close my tab. What happens now? We add a 20% gratuity to all unclosed or unsigned checks. We give your card back to you when you first open the tab, so that should still be with you (::fingers crossed::). I got a parking ticket!! WTF?! We are so sorry you got a ticket! We wish all parking was free. Unfortunately, we do not own or control the paid lot next to our bar so there isn’t anything we can do about it. We encourage our patrons to use Uber or Lyft when drinking. There are also several options to avoid ticketing. There is free parking in the alley behind us and Mister Car Wash allows free parking once they are closed. For the paid lot, the cost is $2/hr and maxes out at $8 for however long you stay. Yes, our patio is dog friendly. We love when furry friends visit and can provide you with water bowls and treats. However, we have promised the health department that we will not allow dogs on the patio furniture and that we will not allow them to eat or drink out of our serving ware so please refrain from this while enjoying the patio. 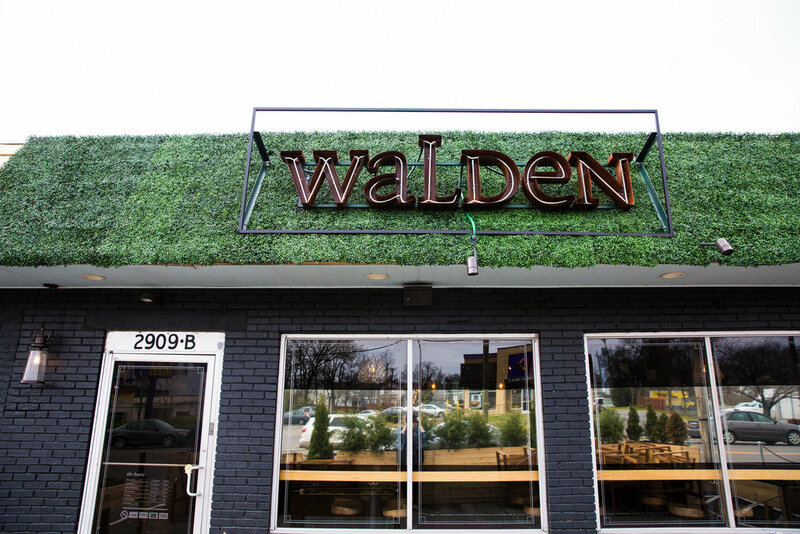 Located in East Nashville, Walden is a local hangout featuring 36 taps and a dog-friendly patio. Walden opened in March 2018 and is part of East Hill Row. 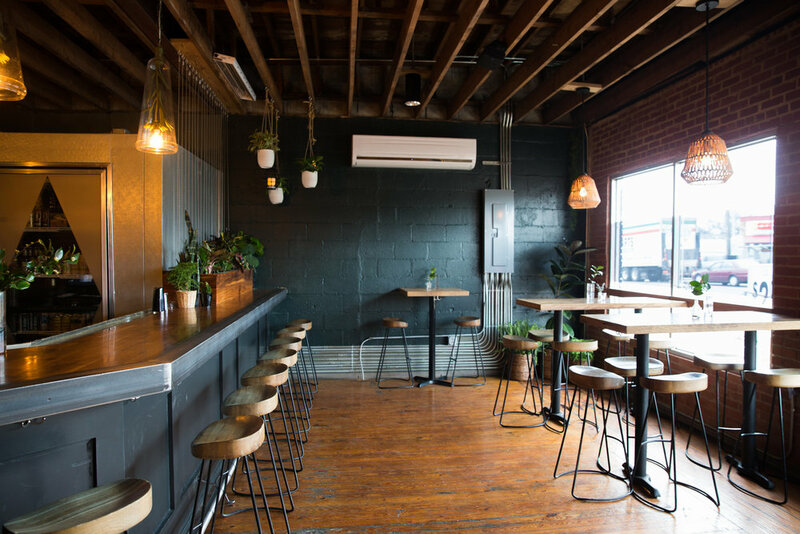 Co-owners Robyn Donnelly and Katie MacLachlan are passionate about affordable drinks, accessible food, excellent service and creating a beautiful, comfortable atmosphere. Want to throw an event? Left something at the bar? Shoot us a note and we will get back to you! Thank you! We will do our best to respond to you quickly.